Norma Elia Cantú has published poetry, fiction and scholarly essays. She has received two Fulbright-Hays fellowships to do research in Spain. Her novel, Canícula: Snapshots of a Girlhood en la Frontera, received the Aztlán Prize in 1996. Other projects include co-edited and edited work such as, Telling to Live: Latina Feminist Testimonios, Dancing Across Borders: Danzas y Bailes Mexicanos, Paths to Discovery: Autobiographies of Chicanas with Careers in Mathematics, Science and Engineering, among many others. ROSSY LIMA: Norma, thank you for giving us your time and sharing your experience with Latino Book Review. NORMA CANTÚ: Of course, it’s a pleasure. And I’m honored to be part of the Latino Book Review. LIMA: As a poet and an academic, how do you see the current state of Latinx literature, and where do you see it going. CANTÚ: Primarily, I’m optimistic about the future of Latinx literature as I see many exciting and promising initiatives. For instance, for poetry we have CantoMundo and Feipol and various premios such as the new one at the University of Arkansas for Latinx Poetry. We are not only publishing more than ever in mainstream venues but folks are starting new and exciting presses. In narrative—fiction and nonfiction—many new and exciting projects are surfacing and more and more writers are getting into major publishing houses, albeit not enough! We still need to publish more of our stories, more diverse Latinx experiences, and in more innovative and creative formats. So, in sum, I am optimistic and I have reason to be given all that’s happening in Latinx literature. LIMA: In your autobioethnography, Canícula, you reflect on your life as a borderlands Chicana, the coming of age rites, such as the quinceñera and how traditions are carried on regardless of migratory practices. What was your goal in writing Canícula? Are you planning on writing a second part to this book? And, what personal joys has this book given you? CANTÚ: You’ve hit on one of the goals! I wanted to highlight our rich culture and to present the positive aspects of the border; moreover, I wanted to underscore the social justice issues that are latent in a community even when it is majority minority, such as it is along the border. The racist institutions, the discriminatory practices, the social injustice due to poverty and linguistic stigmas. But ultimately it was about highlighting the positive and showing the love for the land and the people of the borderlands. The sequel to Canícula, Cabañuelas will be out in February. I finished writing that book back in 95 but it was rejected as I wrote it and had to reframe the entire narrative structure. I resisted for about 20 years! But 2 years ago I went back to the book and revised it. So, it’s coming in February. Canícula has given me many joys. First and foremost, the way it has fed a desire in many borderlands students and readers to see themselves represented in literature. That has been incredibly satisfying. My family’s reaction has also been tremendous. My parents were both very proud of my work and I know it gave them a sense of pride to see my publications—especially Canícula with the photos of my family. Another joy Canícula brought me was the satisfaction of having birthed a book that is still around almost 25 years after its publication. It is still relevant. LIMA: Throughout your literary career, you have focused on empowering contemporary and emerging generations of writers, becoming a mentor and a guide to many Latinx writers. Who were the figures that empowered you? Can you share how their involvement made a difference in your life? CANTÚ: I was empowered by writers and thinkers—too many to mention! From Sor Juana Ines de la Cruz to Gloria Anzaldua, I read voraciously and especially the women empowered me to discover my own voice and to send it forth in narrative and poetry. On a personal level, my friendship with Gloria Anzaldua and with other key figures in the Chicanx Movement made a lasting impact on my life and in my work. Anzadua set me upon a path as a writer and instilled in me a sense of responsibility. I already had it in terms of activism but not as a writer. How could I dare to write in Spanglish? What did my writing matter for La Causa? LIMA: What 3 books would you recommend to a Latinx writer and why? LIMA: As a fluent bilingual, you have written many creative pieces and translated key works into Spanish such as Borderlands: La frontera by Gloria Anzaldúa. What is your relationship with Spanish and how has it changed through time? How do you think speakers of Spanish as a heritage language can make a connection with literature written in Spanish? CANTÚ: Yes, I write in English and Spanish. Spanish is my first language and I write poetry in Spanish; poetry flows more easily in Spanish for me. The short fiction and narrative often erupts in English and then switches to Spanglish. In fiction, I first write in whatever language the character speaks; often I have to translate later into English to get published. I have a very intimate relationship to Spanish that has not substantially changed in the last 50 years or so (I’m 71) but my first language was Spanish and I was punished for speaking it in school. I was lucky to have parents who spoke only Spanish so I kept my Spanish fluency. I studied English and my PhD is in English so I obviously had to master that language as well. I feel I am fully bilingual and that I function according to the environment I am in; for instance, when I am in Spain doing research I am totally communicating in Spanish. The same kind of thing happens when I am at home in Laredo—I find myself communicating mostly in Spanish. Speakers of Spanish as a heritage language can definitely make a connection with literature written in Spanish; in fact, I am certain that it enhances the reading experience. I read at least one book in Spanish a month—mostly fiction—and I know that my experience as a reader is more intimate and perhaps more fluid than when I am reading an English text, but only slightly so as I am immersed in English language experiences all day as an academic. ​LIMA: During the 80s and 90s you were highly involved in grass root movements as a community activist, creating spaces for underserved populations. You were also very involved in the political Chicano movement and were instrumental to the feminist women’s group Las Mujeres, and a local chapter of Amnesty International. In the last two decades we have seen another facet of Norma as the activist scholar. In this new facet, you provide important forums for social change and representation. Was this a natural transition? Which one has been more challenging / rewarding? CANTÚ: I suppose you could say that it is a natural transition to shift my activism from a more grassroots level to an academic level although I have been both simultaneously all along. And both are as challenging and as rewarding—just in different ways. You mention the activist work in Laredo with Las Mujeres and with AI, but I was also very involved in literacy classes for adults and founded Literacy Volunteers of America of Laredo—an organization that still exists. I also ran Alternative Films and showed foreign and classic films for a several years. In short, my activist work has always been academic and my academic work has always been activist. What is disheartening is how we seem to be back where we started with many issues. For instance, in the 80s, we worked on setting up the Refugee Assistance Center in Laredo for immigrants coming through there. Well, guess what? The need is still there now 30 years later! It makes me think that we must persist and I recall something I learned a long time ago—it doesn’t matter if you change the world, what matters is that you try. Of course, in trying you do change it! LIMA: You recently traveled to Spain and Portugal to do research for your projects, can you tell us about them? CANTÚ: Sure. I am researching a new folklore project on pan dulce and continuing my research on fiestas. My new novel has the protagonist traveling through Spain studying fiestas. Both fiestas and foodways are areas of study in my folklore research that I continue to pursue. LIMA: Could you share one of your poems? the simplicity of a pyramid. mysterious as the silence of dusk. they abide in me, in my bones. ​LIMA: Norma, thank you again for accepting this interview and for the work you unceasingly give towards the exploration and visibility of Latinx and Chicanx literature and culture. CANTÚ: Gracias a ti, ha sido un placer. I am honored and it is my pleasure to answer these insightful questions. Rossy Evelin Lima, PhD, is an international award-winning poet. She has been awarded the Gabriela Mistral Award by the National Hispanic Honor Society, the Premio Internazionale di Poesia Altino in Italy, the International Latino Book Award, the Premio Orgullo Fronterizo Mexicano award by the Institute for Mexicans Abroad, the Premio Internazionale La Finestra Eterea in Italy, among others. 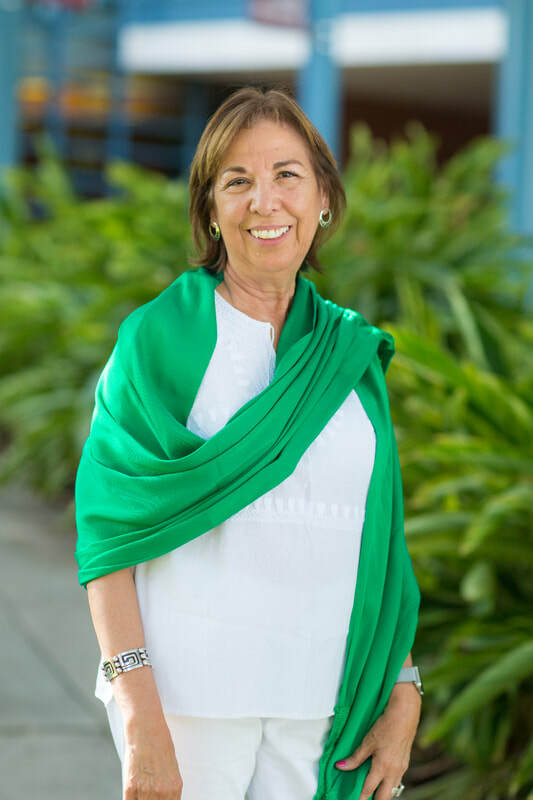 She is the president and founder of the Latin American Foundation for the Arts, the founder of the International Latin American Poetry Festival (FeIPoL), as well as the founder of Jade Publishing.